I adore books. Adore. It’s the only thing I seem to lug with me from house to house and have a hard time parting with. 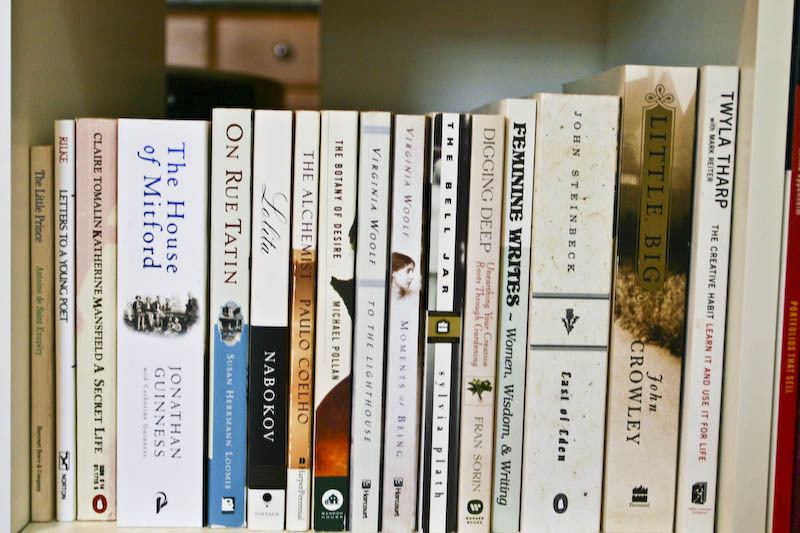 My Amazon wish-list is ever growing though I confess I often want books simply for their cover or size. And since I read Danny Seo’s post about making a coffee book table, I’ve just been wanting to collect more. The Audrey Hepburn Treasures (Hardcover) : This large book really is filled with treasures; it’s like a real life Griffin and Sabine with notes, letters and pictures inside that you can pull out. I’m late in the game to adoring Audrey but this book is helping me catch up. It’s just a beautiful book full of surprises and charms. I also really like the simple, smaller book, How to Be Lovely: The Audrey Hepburn Way of Life, which is filled with little quotes, stories and gems from Audrey’s life. Creole Thrift: Premium Southern Living Without Spending a Mint: I’ve written about this book before but I love it so much that it just has to be included here. It’s beautiful, it’s useful and it’s great as a gift for anyone. It combines thrifty ideas with antique finds – something that learning to do. I have a glass desk and this is one of the things I keep underneath because I’m in-love with its cover (the photos, the font, the colours oh my!). Chocolate and Zucchini: Daily Adventures in a Parisian Kitchen: I must confess I haven’t read this book yet (it’s not even released!) but having been a huge fan of Clotilde’s blog of the same name, I just know this book will be wonderful. She has a way of intertwining stories of food with practical how to’s. She makes everything seem so easy and possible because she just knows about food and cooking. One of my all time favourite meals was with her in Paris. So pre-order! Breakfast, Lunch, Tea: The Many Little Meals of Rose Bakery: this book has been flying out of the store, and for good reason – it covers the main meals of the day! From sticky toffee pudding to granola to actual lunch meals, this bright green book is a welcomed change from all the other regular looking cook books. I haven’t made anything from it yet but I think I’m going to have to try something soon. For every time I look inside I’m instantly hungry. Paris Out of Hand: A Wayward Guide: This small book packs a lot of interest whether you go to Paris or not. The visuals, the details, the stories – they beg you to ask the question, “how much of it is real?” The real question might be, how much do you want to believe? Me? I want to believe it all. If you’re a fan of Nick Bantock’s style, you’ll enjoy this book. Or give it as a gift to that backpacker or the world traveller who thinks they’ve seen it all. 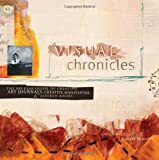 Visual Chronicles: The No-Fear Guide to Creating Art Journals, Creative Manifestos and Altered Books: I have to say that art journals scare the bejesus out of me. I haven’t a real journal in years let alone a visual one. But this book, with its great ideas, non-directiony directions and wonderful photos makes me think that perhaps I too could keep a visual chronicle. We’ll see. In the meantime it’s just a wonderful book to have on hand. Books are the best gift EVER. I could talk and read about them all day–although that wouldn’t leave any time for reading the delightful things themselves! I LOVE reading your posts and adore many of the items you recommend. I like the shabby chic country style as well as the Scandanavian look (the concept of hygge is new to me, but I have taken to it fast). I’m not sure if they ship to the US, but I just like looking at the pictures! Have just got e mail at home and was enchanted by Fiona’s words. Thank you.